Are foundations living up to that expectation? 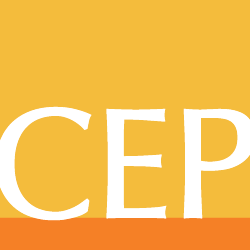 Today, CEP is releasing two reports on the topic of how foundations are learning and sharing what they have learned. The first piece, Understanding & Sharing What Works: The State of Foundation Practice, follows research CEP conducted back in 2016 about how transparent foundation CEOs believe they are when it comes to what they are learning. In that study, we found that foundation CEOs didn’t rate themselves as being all that transparent about what they are learning regarding what is and what is not working in their programmatic efforts. After the release of that report, we received a number of questions about why foundations aren’t sharing more. An assumption that foundations have information to share but are keeping it to themselves was often the conclusion reached. CEP has worked in depth with hundreds of foundations throughout our more than 15-year history, and that conclusion didn’t sit well with us. The story, we thought, is more nuanced than that. Developing an understanding: While almost two-thirds of CEOs say they understand well what is working in their foundation’s programmatic efforts, more than 40 percent say their foundation is not investing enough time and money in developing this understanding. Using knowledge to make decisions: Foundation CEOs are using what they learn about their programmatic work to inform decision-making at their foundations. Sharing knowledge: While the majority of CEOs say their foundation shares at least some of its knowledge externally, they also say foundations are not sharing more due to a lack of capacity, a hesitancy to expose failure, and the difficulty of determining what information is useful to communicate. To accompany this research, we are also releasing Understanding & Sharing What Works: Profiles of Four Funders Propelling Philanthropic Practice. Lowell Weiss of Cascade Philanthropy Advisors wrote these profiles of funders that are investing in efforts to learn and share about their work. The four funders featured in this report are Rockefeller Brothers Fund, Weingart Foundation, Communities Foundation of Texas, and Impetus-PEF. We appreciate that leaders at these four foundations were so willing to share their stories and examples of what they are doing to learn and improve. These two reports, as well as our transparency study back in 2016, were supported by funding from Fund for Shared Insight, which has been an invaluable partner in this research. As with so many other aspects of a foundation’s work, context matters. Every foundation must determine for itself what approaches to understanding what is and isn’t working — and deciding what knowledge to be open about — makes the most sense for them. We believe that the data in this report, along with the insights shared in these profiles, can be helpful to foundations of all sizes and focus areas in making that determination. This work can be challenging, but the benefits in learning and improvement can be great. Ellie Buteau is vice president, research, at CEP. CEP will be hosting a webinar on this research on Monday, December 3 from 2:00-3:00pm EST. Register here. Previous Post Advancing Nonprofit Diversity: A Call to Action for Funders and Nonprofits Next Post How Can Foundations Learn Better and Share More?